Make sure you register for an account when ordering, and you will automatically be enrolled and earning points from your purchases. Points are earned on every dollar spent and tracked live under your accounts page. When your ready to use them, just place an order and you can redeem them as payment towards your order. 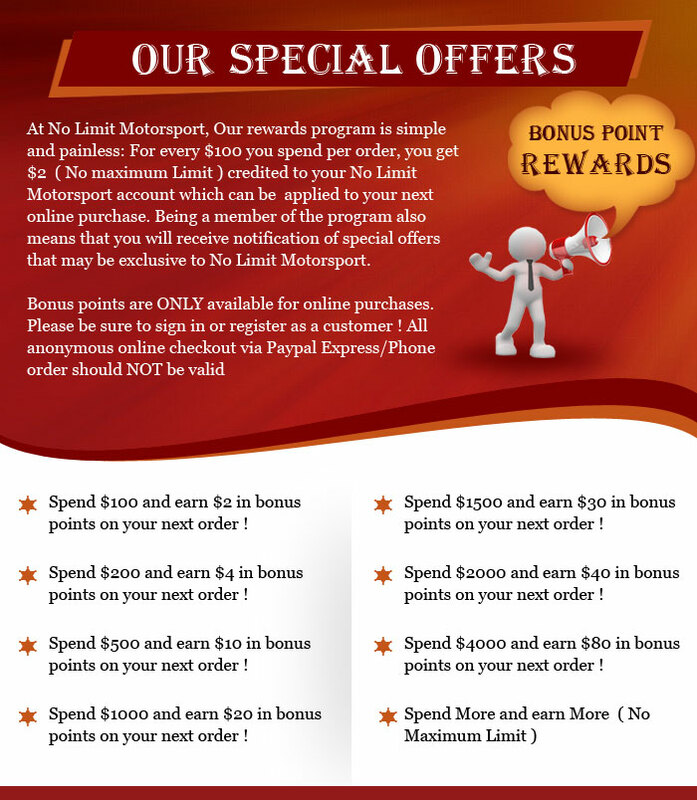 We will also have special offers, such as double cash back, free points, and many other great incentives, so it pays to register and order with No Limit Motorsport!!!! This program is for current and future orders only. Previous order history will not account and is only for new orders placed ONLINE ONLY. Paypal, phone orders, or email orders do not count!! !